What is content marketing? You’re looking at it. Articles, blogs, and social media posts are all forms of content marketing. In fact, anything that reaches out to prospective customers to inform or entertain them is content. Google processes approximately 40,000 search queries per second. What are all these people looking for? Simply put, they want answers or entertainment. If your company can match their needs, potential customers will stop scrolling and click. Content marketing isn’t as simple as all that, though, and here’s why. Let’s start with what content marketing is not. It isn’t a veiled sales pitch designed to manipulate clients into buying something. Content marketing has value at its core. The intention is to add value by improving the lives of your audience in some way. You do this by providing relevant, consistent information about goods and services. Information that people need to solve some problem they have. It follows that you need to know who these clients are and understand their needs first. Unless you know what your potential customers’ needs are, it’s impossible to provide them with relevant value. For example, if you own a sporting goods store, you have a huge potential client base. It stretches all the way from scholars through to professional sportspeople. That’s great, but all these people aren’t looking for the same thing. Parents of school kids will want durable inexpensive equipment that can is easily replaced when their youngster grows out of it. Professional sportsmen will be looking at minuscule performance details on every item. If you want to provide real value to your customers, you need to choose one thing and do it well. The next step is finding out how your business can add value to these potential customers and making them aware of this fact. You can’t have it all. At least not right now. Content marketing is a long-term slow approach. Pay-per-click campaigns work well to improve your brand’s visibility online quickly. Yet, you’re going to need more than that to keep your customers engaged. Creative and insightful content marketing is what keeps them coming back. For starters, no search engine worth its salt is going to take you seriously unless you update your website regularly with fresh, unique content. When potential customers type in a search query, the search engines’ job is to provide them with the most relevant up to date answer for that query. Stale, thin content isn’t going to cut it. 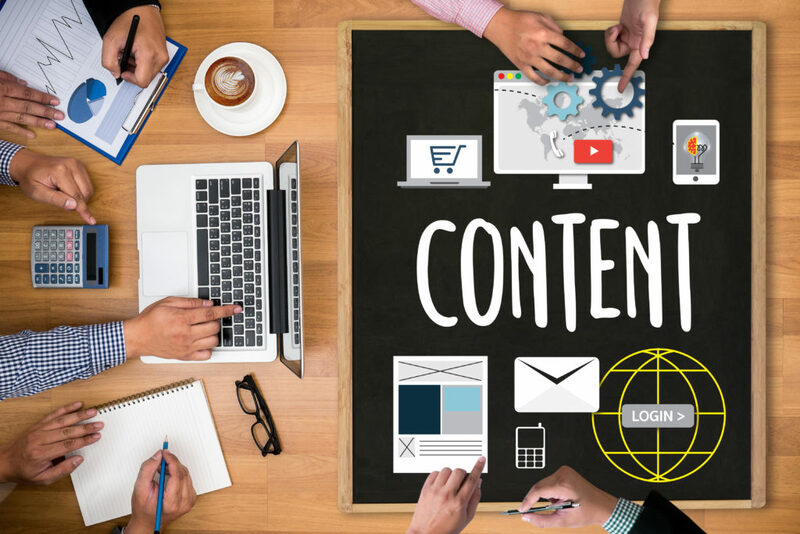 Optimizing your content so that these watchdogs of the online world can find it is another important aspect of content marketing. However, that’s a topic which deserves an article of its own. The key is to be consistent and keep at it. Nobody ever made their way up the SERPs quickly and stayed there. As long as you’re doing something, and doing it right, you’re staying alive online, no matter how slow your progress. Fortunately, there’s a vast array of content types that you can use to get the attention of potential customers. Another one of the most important types of content marketing is social media marketing. People love social media, it’s the village green of today’s times. On average, users spend 50 minutes a day on Facebook alone. Instagram is another popular one and is an excellent tool for driving sales with irresistible pictorial content. Perhaps the best thing about content marketing is its versatility. You can really drive your message home by repeating the same message in a variety of formats. In this way, you can spread the good news about your company far and wide across every available channel. After you’ve spent hours crafting an amazingly informative piece of content, it’s a shame not to maximize it. There’s nothing to stop you from re-purposing useful content several times over. As long as the information remains relevant, old content can reappear months later as an infographic or e-newsletter. Alway share your content marketing efforts on your social media channels as well as with clients on your email database. You don’t want them to miss out on the latest news. If content marketing sounds like a lot of work, that’s because it can be. However, if you make it a priority, you’ll soon see opportunities popping up everywhere. You can even share an insightful thought, a valid quotation, or humorous behind-the-scenes event with your clients. These snippets of information showcase the human aspect of your company, without a sales pitch or call to action. They build relationships, and relationships are what drive purchase decisions. About 79 percent of customers decide to buy or not to buy based on whether they feel they can relate to a brand. Clearly, content marketing is the way to go, and it’s here to stay. Your biggest query right now is probably where and how to get started. The digital world is ever-evolving and changes rapidly. If you want to stay ahead of the game, you’re going to need some help. We have the answers to your digital marketing questions like, “what is content marketing?” and more. Keep reading our blog for insights or get in touch for assistance.